Before this year began, I pledged that 2018 would be the year where I organized people for real change — where we took direct actions that would result in measurable gains. Let me be clear — before somebody misconstrues what I’m trying to say — we must march and protest, we must sign petitions and create hashtags — those things build momentum and they build awareness. It’s always important, when we experience injustice in this nation, that people in power understand that we will not take that injustice quietly. However, I’ve come to understand that awareness and momentum, while necessary and valuable, are just two of the dozens of essential ingredients required to actually make change happen. If you don’t mind, I need to teach a history lesson for a few moments. I’m going to try and teach what deserves an entire book in a few paragraphs. From 1492–1863, which is nearly 400 years, jails and prisons in this country were few and far between. Mass incarceration did not exist. Most estimates are that the United States, at any given point during those 400 years, always maintained less than 50,000 prisoners nationwide. By comparison, most of our smallest states now have more prisoners than that. For the first 400 years on this land, prisoners were primarily white — that was in the North, South, East, and West. In fact, in many states, the jails and prisons were exclusively white. Not only that, but the number of laws in this nation was relatively small and manageable. They focused mainly on theft and violent crimes. The criminal code was simple. Everything, and I mean everything, changed about America’s justice system after The Civil War. I’m sure you understand why. If you’ve ever been to one of my presentations, you’ve heard me give a crash course on this. Let give you the basics right now. In the United States, we’ve had two periods of history where Black freedom and liberation, where Black rights and privileges, were the primary focus. The first was The Civil War, which birthed the 13th, 14th, and 15th Amendments and the Emancipation Proclamation. That was in the 1860s. The second movement for Black freedom and liberation, where Black rights and privileges, were the primary focus in this country, of course, took place 100 years later. We call that period the Civil Rights Movement. And here’s what you need to understand about the Civil War and the Civil Rights Movement — after each of those pivotal periods in American history, a backlash ensued, and it was not just emotional — it was legal and political. One of the primary expressions of that backlash was that lawmakers decided, in each of those eras, to use the criminal justice system as a primary tool to not just oppress Black folk, but to criminalize blackness itself. That’s why today I’m going to recommend you read several books to help you understand these two eras well — and to particularly understand how people in power, after the Civil War and the Civil Rights Movement, decided to use the justice system to create new systems of slavery. As an aside, many of us are moving away from even calling this thing “the justice system.” It has little justice. It’s our legal system. The first book you should read won the Pulitzer Prize. It’s called Slavery By Another Name. A documentary based on the book is also powerful and is embedded below (WATCH IT). 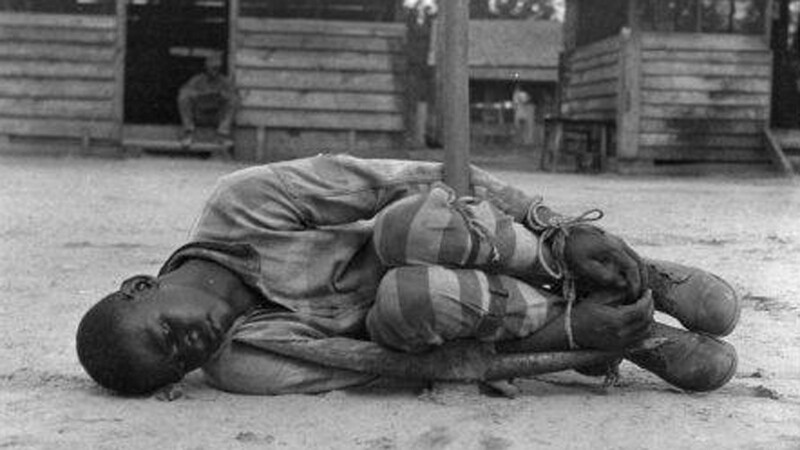 It shows how after the de-jure end of slavery in the 1860s, the United States converted what was, in essence, a small system of white jails and prisons into an almost exclusively black system in many places. 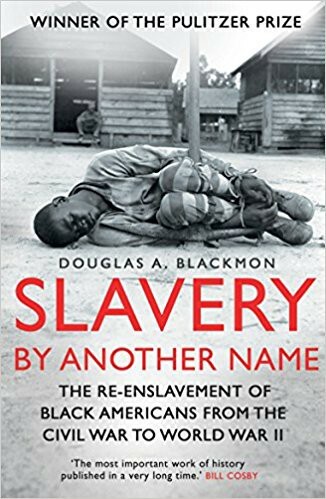 And Douglass Blackmon, the author of Slavery By Another Name, breaks down how a relatively fair system designed for white punishment was transformed into horribly unjust system not just for black punishment, but, for slavery and profit. And because the 13th Amendment allowed slavery for people convicted of crimes, corporations across the country saw this as an opportunity to profit off of black misery. Again, read the book and watch this documentary. And within months of the end of American slavery as we knew it, hundreds, and eventually thousands of new laws began being put in place to police and penalize every possible move black people made in this country. Slave codes were converted into law. Free black people would now be arrested for “walking without a purpose” or “walking at night.” Simple actions that were never crimes for whites, became widely punished for blacks. Month by month, the criminal code began to swell. If a crime could not be identified, one would be concocted, and this nation’s first generation of wrongly charged and convicted African Americans was firmly established. Within ten years of the end of the Civil War, jails and prisons full of African Americans were overflowing. 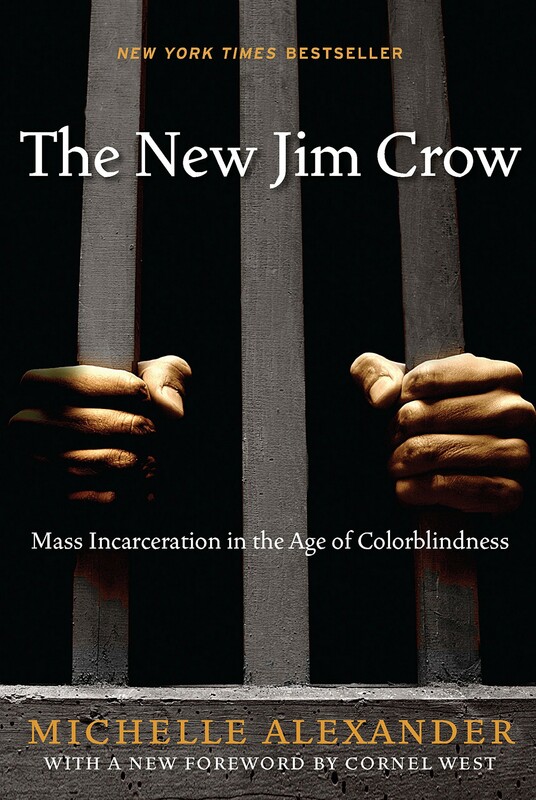 The 100 years after American slavery are known as Jim Crow. This was not simply the era of segregation, it was an era of legal oppression, where African American citizens were routinely denied basic human rights and dignities. The Civil Rights Movement was all about fighting for equality — particularly when it came to voting. In Sunflower County, Mississippi, home to the notorious Parchman penitentiary (featured in the documentary above) and plantations that had hardly changed since the Emancipation Proclamation, the scholar John Dittmer stated that “of the more than 13,000 blacks eligible to vote, fewer than 200 were on the books.” If you even attempted to register to vote, you could be killed or lose your job or home in an instant. Of the 200 African Americans who were eligible to vote, few showed up. The costs were too high. And it was out of that outrageousness that the Civil Rights Movement emerged. The movement did not begin with Rosa Parks refusing to give up her seat and it did not end with the “I Have a Dream” speech. It was longer and deeper and much more nuanced and complex than that. 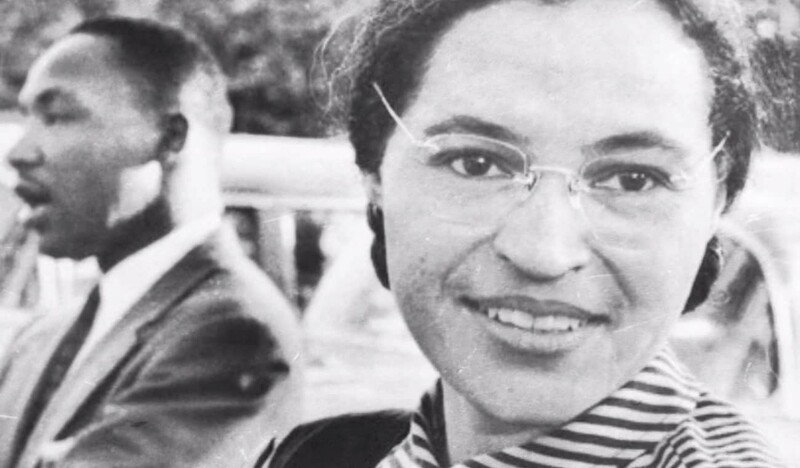 Rosa Parks, for instance, had been an activist for nearly 15 years before she refused to give up her seat. Her husband was a lifelong activist. Yes, a few generations ago, in the segregated South, a black woman named Rosa Parks refused to give up her seat on the bus. My five kids know that. School children across this country know that. Donald Trump probably knows that. Everybody knows that. And that’s not a bad thing, but when a richly complicated, determined woman, who was centered in revolutionary thought, has a decision that was more a culmination of a building “storm” in her heart and mind, than a result of tired feet after a hard day of work, something very problematic happens. Rosa Parks has been reduced to a moment. And that reduction erases a thousand steps that her feet had to take years and years before they ever refused to shuffle along on that cool December evening in 1955. And so that amazingly courageous moment ends up not just with a heightened visibility — it ends up, like the tip of an iceberg, being virtually the only visible part of her life. Then, to mimic Rosa Parks, for many, is to mimic that moment — when the truth is that moment was wedged between decades of her dedicated liberation work. Consequently, when modern protests movements base their strategies on the tips of icebergs, on the most visible moments of historic movements, they build houses on sand. For the most memorable, most visible moments of The Civil Rights Movement and Black Power Movement did not stand alone, but emerged out of an authentic organizing culture with deep roots and time-tested philosophies and theologies. In The Rebellious Life of Mrs. Rosa Parks, Jeanne Theoharis, the Distinguished Professor of Political Science at Brooklyn College, spends just about 5% of her 306 page award-winning book on the iceberg moment we’ve all come to know Rosa Parks for. Even those pages are surprising as Theoharis gives new color and context and truth to the famed protest of Rosa Parks on that public bus in Montgomery, Alabama. Theoharis rescues Parks from the myths of that moment by highlighting the early speeches and interviews of Parks soon after her protest where she repeatedly states that the moment did not come out of nowhere, but out of a very rich life as an activist. Just 42 years old at the time, Parks even declared that she wasn’t even physically tired when she refused to give up her seat, as is often attributed to her, but that she was deeply tired of injustice — with the recent lynchings of Emmett Till and other young black men weighing heavily on her mind. Spadework. That’s it. That’s what happened — in fact it’s what had to happen for an entire generation before what we eventually came to know as The Civil Rights Movement even took root. Theoharis perfectly describes the thankless, but utterly essential tilling of the ground and planting of seeds, often in dry seasons, year after year, with little hint that any visible fruit would ever spring forth. That single paragraph from Theoharis may be the most important of the entire text. It perfectly encapsulates not just why the public knows so little about Parks before her protest-moment, but why the average person couldn’t name a single civil rights leader from the generation immediately preceding Parks and Dr. Martin Luther King, Jr. Without the spadework, would we even have a Civil Rights Movement? It’s doubtful. Furthermore, the author deftly illustrates an essential point that was not just true for that movement, but has carried over into modern movements — the heightened attention on the physical performance of protests from the mid-1950s to the early 1960s left an indelible mark on every social justice movement that came after it. While the Civil Rights Movement is now frequently remembered by most as a series of public demonstrations of non-violent resistance to racism and bigotry, like Rosa Parks refusing to give up her seat, like sit-ins at segregated lunch counters, like the March on Washington, like peaceful protestors crossing the Edmund Pettus Bridge in Selma, the truth is that those moments were rare. They were standout expressions of the movement that were usually conceived and birthed out of deep organizing structures. They made the headlines and got the attention, as they should have, and as they were intended to, but those moments were not the movement itself — they were the tip of the spear. Perhaps no state in the country was better organized to fight against worse oppression and bigotry, with their story being told less, and the lessons from their work being overlooked more, than the thousands of brave freedom fighters in Mississippi. Two magnificent books, I’ve Got the Light of Freedom: The Organizing Tradition and the Mississippi Freedom Struggle by Charles M. Payne, Professor of History at Duke University and Local People: The Struggle for Civil Rights in Mississippi by John Dittmer, Professor of History at DePauw University, have each won countless awards for properly positioning the utter brilliance of Mississippi organizers alongside, and even in front of their better known peers of the Civil Rights Movement. Combined, the texts make up over 1,000 pages of groundbreaking original research, but each came to remarkably similar conclusions — ordinary local people — who rarely had a microphone or camera put in front of their face, risked everything they had to fight back against some of the most violent people and policies this country has ever seen — and they won…a lot. Mississippi, which was basically ground zero of white supremacy and violence in America, is simply left out of that narrative altogether along with ten years of Dr. King’s life and leadership and anything remotely resembling respect for who Rosa Parks was and where she came from. That illustration from a college student was no doubt dumbed down, but it’s painfully close to the de-facto truth of what the greater Civil Rights Movement has been reduced to by the nation at large. Scholars and grad students might be getting this message, but it’s hard to discern if it has even started to trickle down to the masses. Every single page of John Dittmer’s Local People is chock full of stories of brave women and men who had no place in Julian Bond’s Master Narrative. What they were up against was staggering. 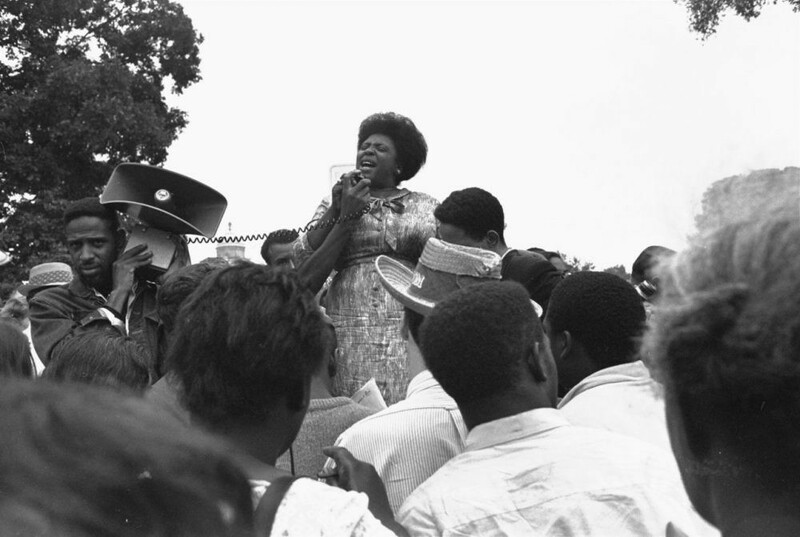 In Sunflower County, Mississippi, home to the notorious Parchman penitentiary and plantations that had hardly changed since the Emancipation Proclamation, Dittmer stated that “of the more than 13,000 blacks eligible to vote, fewer than 200 were on the books.” It was in this context that Fannie Lou Hamer emerged. For eighteen straight years she and her husband worked on the brutal B.D. Marlowe plantation. She was one of twenty children in a sharecropping family who hardly knew life outside of a Mississippi plantation. Yet, in the face of that, they organized strategic teams of brave men and women who would try to register vote. Even the attempt was revolutionary — so much so that B.D. Marlowe himself fired Hamer and threw her off the plantation. What he meant for harm, was a spark. 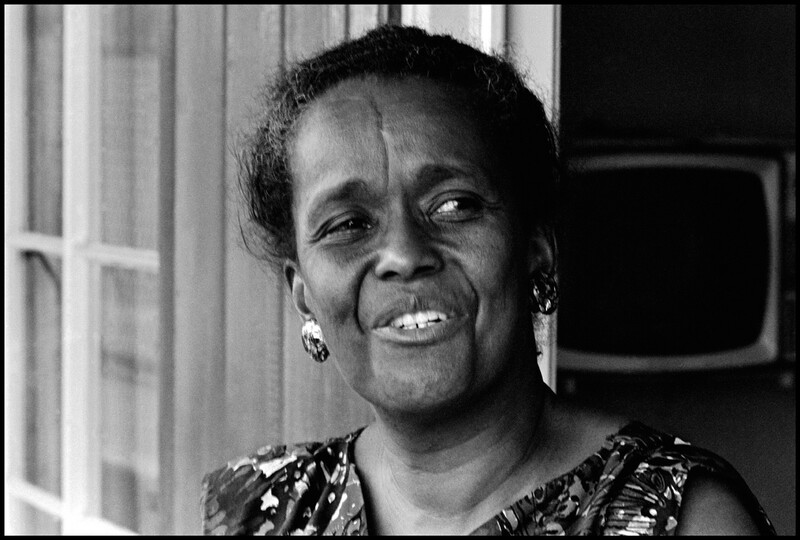 If the sophisticated organizing traditions of Mississippi are the most chronically understated of any state, no more important leader and organizer of the Civil Rights Movement is as consistently overlooked as Ella Baker. In Ella Baker & the Black Freedom Movement: A Radical Democratic Vision, Barbara Ransby, Professor of History at the University of Illinois Chicago, we learn that Ella Baker was literally organizing people all throughout the South as an NAACP leader when Martin Luther King was still in elementary school. “Ella Josephine Baker’s activist career spanned from 1930–1980, touched thousands of lives and contributed to over three dozen organizations,” said Ransby. During that span she served as perhaps the most skilled behind the scenes strategist for civil rights in the entire country. Yet most of us would struggle to pick her photo out of a lineup — not to mention explain the extent of her invaluable contribution to the movement and several different generations of its leaders. By the time we reach the mid-1960s, this nation is in complete turmoil. The President of the United States has been assassinated. Multiple civil rights workers have been murdered. White supremacists bombed a black church and killed 4 little girls. Medgar Evers and Malcolm X were killed. And facing a complete meltdown, the United States government did right for a change. It passed two essential pieces of legislation designed to finally give African Americans equal voting rights and to end humiliating forms of public oppression and segregation. Those two bills were The Voting Rights Act and The Civil Rights Act. They were absolute game-changers. But here is where I must recommend that you do two things. In this book and in the film, Alexander and Duvernay masterfully break down how the United States was made into the incarceration nation not because of an influx of drugs or crimes, but in direct response to the gains of The Civil Rights Movement. Here’s one way of looking at it. This chart below begins in 1925, but it could’ve started in the 1500’s. 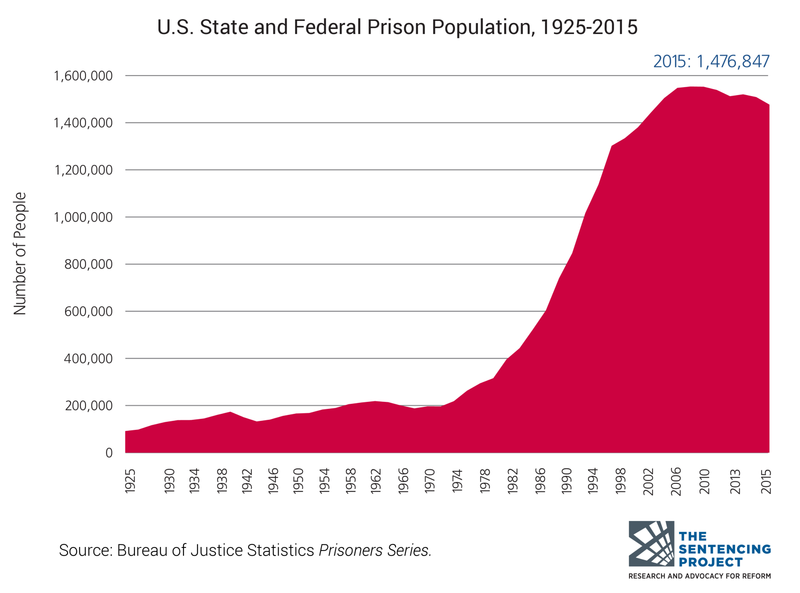 From the founding of this nation, all the way around 1974, the nation, for 400+ years, kept fewer than 200,000 people in prison — then BOOM! It exploded. Mind you, this graph does not even have the 1 million or so people in jail, youth facilities, and ICE detention centers. How we got here is complicated. You have likely heard me say this before, but that simple graph above is deceptive. It looks simple, but what’s behind it and inside of it is a beast unlike anything we’ve ever fought in modern American history. Let me explain myself. The United States has so many laws, into the millions, that experts have lost track of just how many laws we have. It’s the most of any nation in the history of the world. We have over 1 million law enforcement officers. We have nearly 20,000 police departments — each with their own policies and rules and union contracts. We have 8,000 different jails and prisons nationwide — they too each have their own governing guidelines and structures. And then we have 2,400 locally elected prosecutors who serve as the gatekeepers to the entire system. They are 95% white, 81% male, and women of color make up just 1% of this group. They are overwhelmingly conservative and tend to fight hard to incarcerate as many people as they can for as long as they can. They wear such stats like a badge of honor. I said all of that to say this…. Our problems are far more complicated, and sophisticated, and nuanced than most of our solutions. But we have faced down other complicated beasts before — and won! To get there, though, we must accept something that I think is a bitter pill for most of us to swallow. I’ve already been down this path myself. We’ve been out-organized. Yes, those who mean us harm often don’t play by the rules. They gerrymander entire states. They pass new laws to suppress the vote. They stonewall and deny the President of the United States a Supreme Court pick that belonged to him. All of that is true. But all of that is a result of organizing. Wherever we go from here, up or down, left or right, high or low, we will go as a direct result of our organizing. Period. And part of what has paralyzed so much of our organizing over the past few years is that, out of necessity, we have moved from crisis to crisis, emergency to emergency, and have struggled as a result to build and communicate sophisticated solutions to our most challenging problems. We are most often reactionary in our organizing. And I understand why — but what happens is that most of our organizing comes from a place of pain — because we are often shocked and stunned into action — and it leaves very little time and space for the comprehensive plans that need to be created to face our problems head on.